While this area is immediately adjacent to Church House Gardens it is of a different character and it came into public ownership by completely different means. This long and narrow area started off as the grounds of a private house facing onto the High Street. It was purchased by George Sparks, who had as a child studied in this house when it was a dame school, when he returned to the town of his birth after being a Justice of the Peace in southern India, based in a mountainous area called the Nilgiri Hills. On his return he married his childhood sweetheart Emily, and bought a house which he called ‘The Neelgherries’. On his death his widow remarried and upon her subsequent death this property was bequeathed by Emily Dowling in 1906 as a pleasure gardens. A Cedar tree is shown on the right of the above postcard image. This same tree is still there in 2017 (see below)! It was famous for its floral beds, a tradition which continues today, and its floral clock. The latter did not tell the time but indicated the time that the garden would be closing. It got its modern name due to the previous public library which was on the High Street end of this area. The library connection is still present today. 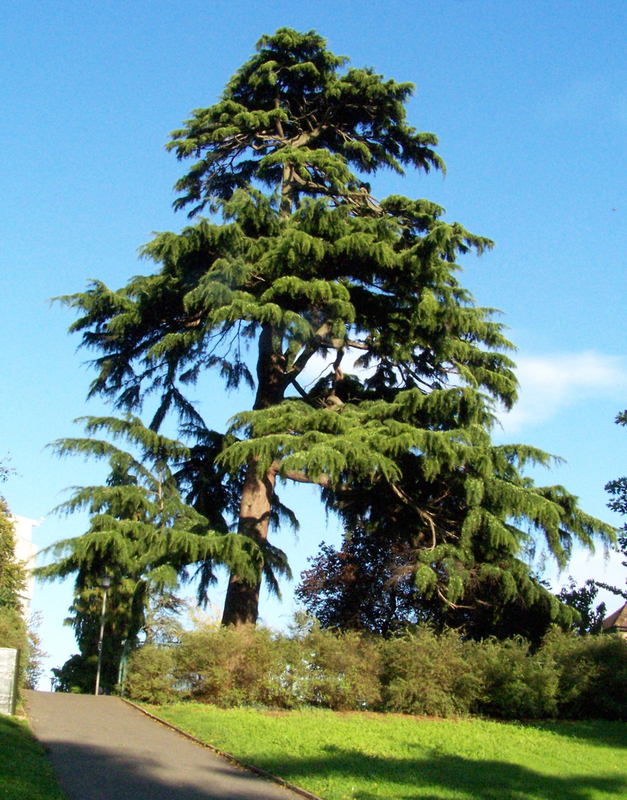 A large Deodar tree, also planted around this time remains to this day. The boundary between Library and Church House Gardens is marked by a double row of lime trees a little way down the slope. An old wall, that is thought to have marked the lower boundary between the properties, can now be found in lower part of Church House Gardens, adjacent to the skateboard area and children’s playground. Besides providing access to the Central Library and Churchill Theatre it is also well used, especially in the warmer months, by people enjoying a quiet picnic lunch. This park is now under threat from development.